Clinicians at the Wildlife Clinic of the Cummings School of Veterinary Medicine at Tufts University today will release a Cooper’s hawk that was rescued from an MBTA Station earlier this week. The release is planned for 11am on Friday, December 10, 2010, at the Tufts Wildlife Clinic. 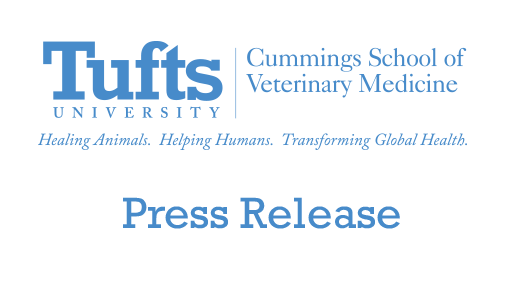 A team of faculty, intern and staff veterinarians and fourth-year veterinary students examined the bird shortly after it was brought to Tufts Monday by the Animal Rescue League of Boston, and radiographs were taken on Tuesday. The bird suffered no broken bones and was treated for a minor abrasion on its wing. 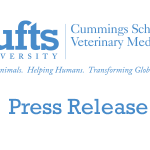 The Cooper’s Hawk was brought to us in shock and dehydrated from living in the MBTA station, but was otherwise healthy, said Dr. Florina Tseng, DVM, director of the Tufts Wildlife Clinic. So often we see birds of prey that are far worse off. The hawk had been spotted in the Andrew Square Station and was captured and brought to the Tufts Wildlife Clinic on December 6 by Senior Rescue Technician Danielle Genter and Rescue Services Assistant Manager Mike Brammer of the Animal Rescue League of Boston. The ARL also worked with Birdmasters to cut holes in the MBTA‘s pigeon-deterrent netting to free the hawk. The hawk received fluids and was kept in a protective enclosure while veterinarians assessed his condition and has since been moved to an outdoor flight cage, pending release tomorrow. Because it is a juvenile bird—and therefore not yet attached to a territory—releasing it from a distant location from where it was discovered does not present a threat to the bird, Dr. Tseng said.